Hey! 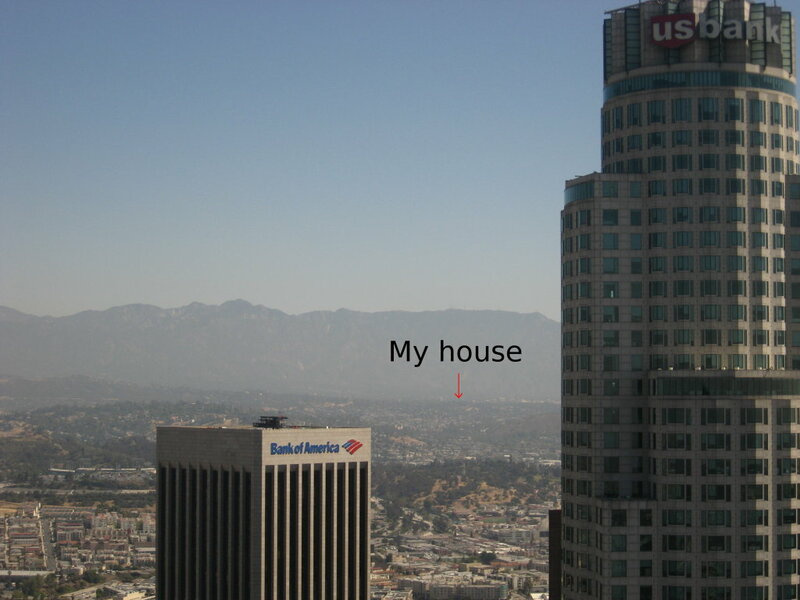 I can see my house from up here! 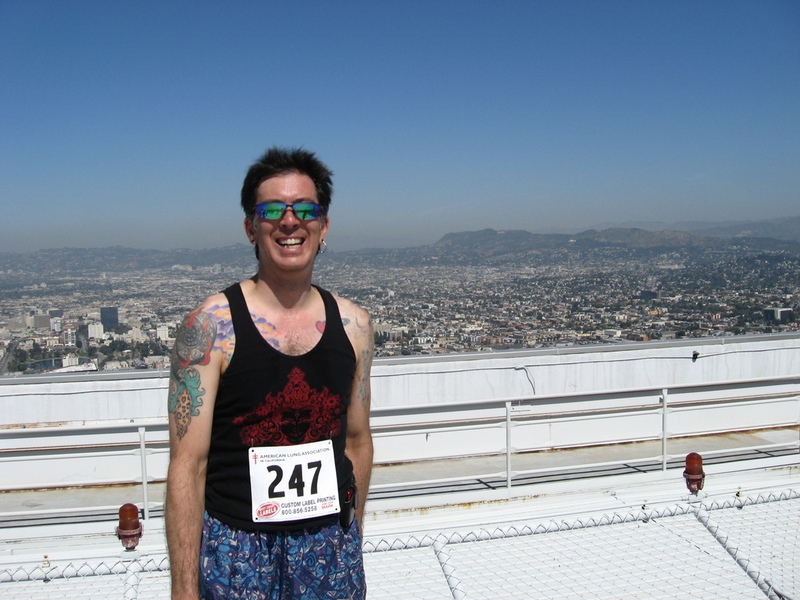 A few weeks ago, I signed up for the Climb California stair climb up the AON tower in downtown Los Angeles. And yes, it turned out to be an interesting adventure. Since doing this meant missing my regular bike ride, I decided to ride my bike there. 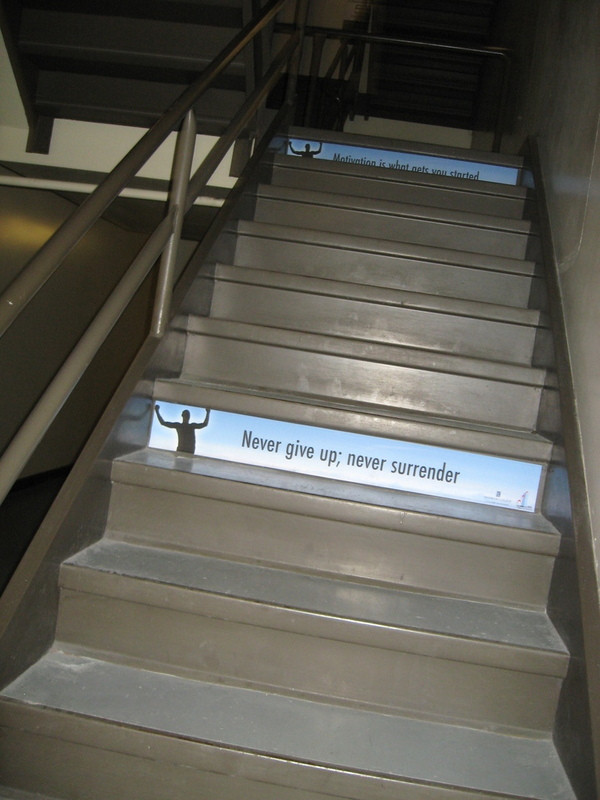 Besides, I figured that would give me a good warm-up for the stairs. The guy who organized our group lives right across the street from the tower, and he said I could leave my bike at his place while we were climbing. When I got downtown, I heard a savage yell, and I saw what looked like a group of Vikings in front of an ATM. They were being filmed for something or other. It almost never says what they’re filming. When I got to Dan’s place, I changed while we waited for the rest of our group to arrive. 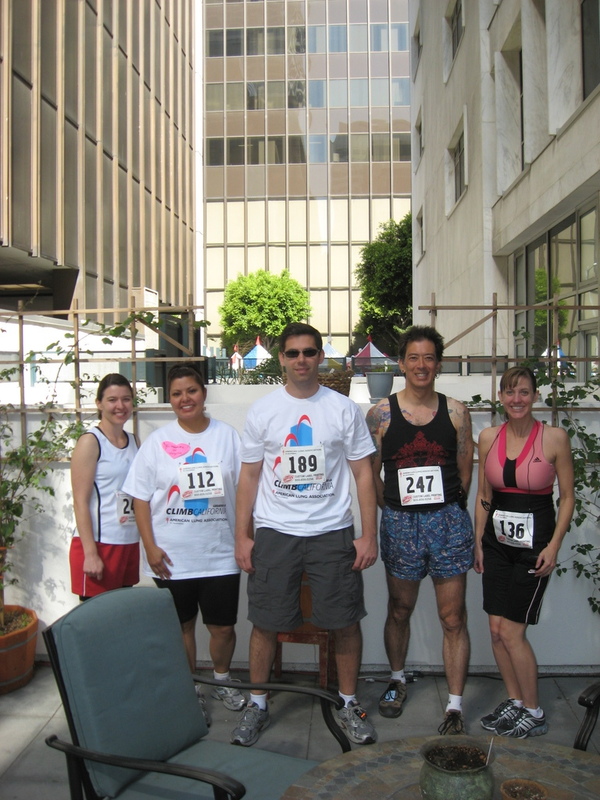 Then we took a picture before starting out. Notice how we’re all smiling and ready. Then we headed across the street and took our places in line to start. When they said “go”, I just sort of trotted in the door and starting climbing the stairs. The actual flights were very short. Only about 8-10 steps each before a turn. 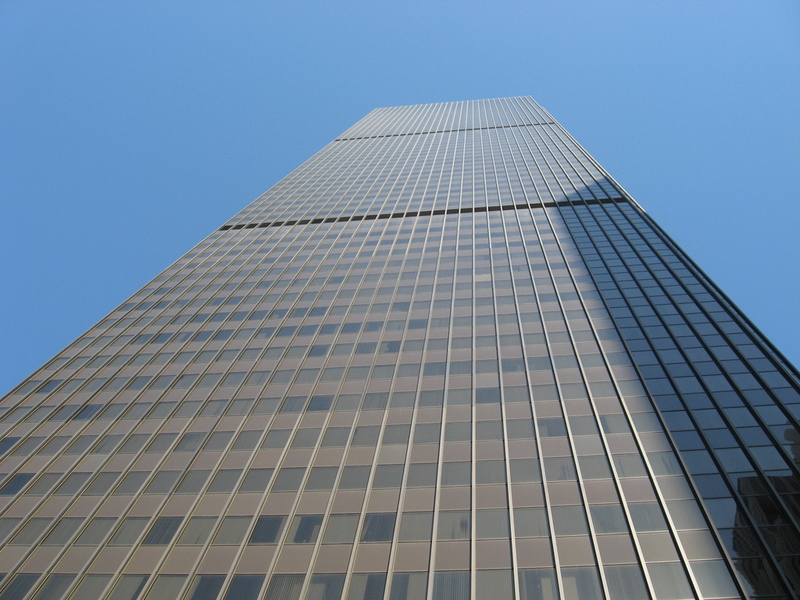 I took the first 32 floors two steps at a time. But after that, I had to slow down a bit and go to single steps. 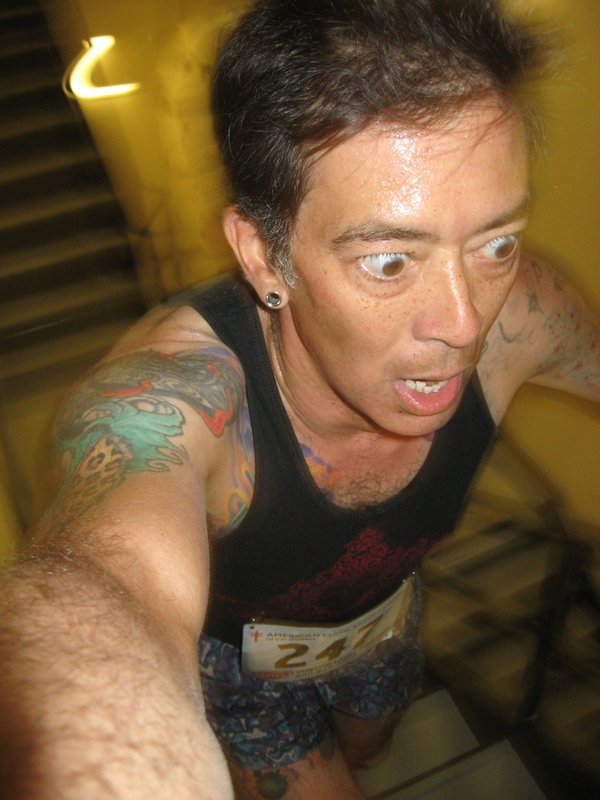 Running up stairs is a lot like bike riding up hills, and it brought out my competitive side in the same way. I passed lots of people on the way up. Each time, after passing someone, I just focused on catching and passing the next person in front of me. Nobody passed me. I took my picture Myspace-style at about floor 43. At that point, I could really ‘feel the burn’, and it was pretty grim, as you can see in the picture. 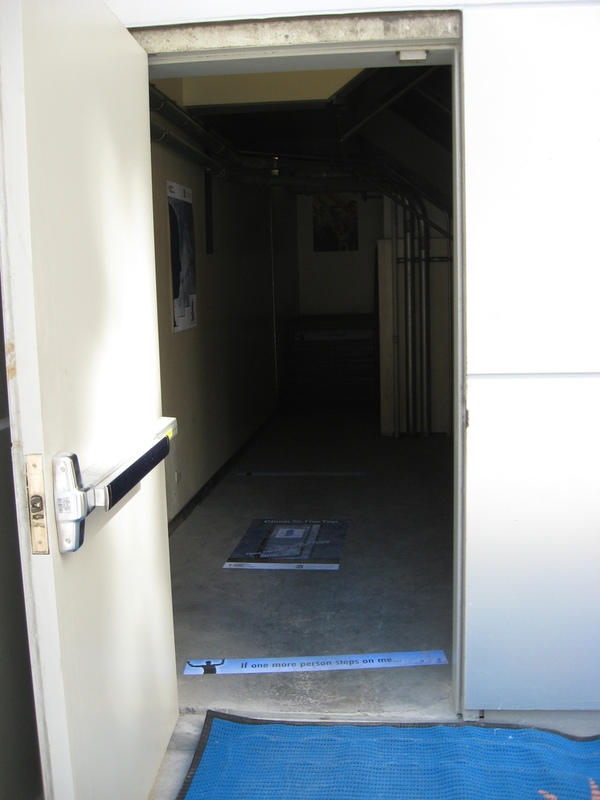 When I went around the last turn and saw sunlight in the stairwell, I knew I was there. I sprinted up the last flight and up onto the roof. Then I stopped and just stood there panting in the bright sunlight. After I stopped panting, I got my picture taken with Hollywood in the background. 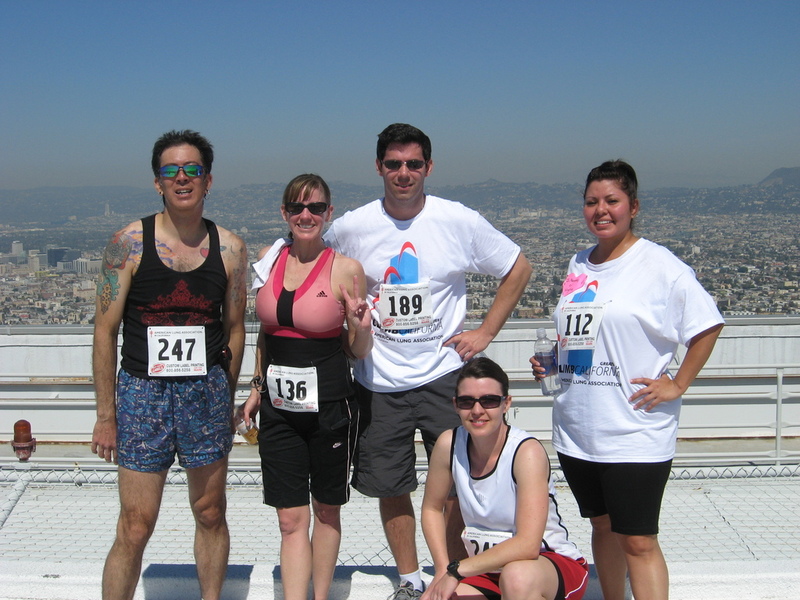 After all five of us made it to the top, we took an ‘after’ picture and then headed down the stairs to the 60th floor. This was a big open unfinished space. They had water and cut-up oranges. We just wandered around and looked at the views out the windows. Then we got in the elevator and rode back down to the ground. When we got down, they were already posting the results. I was pleasantly stunned that my time of 12:50.49 was good for 23rd overall, and 20th among men. There were only four men my age or older ahead of me. I was very pleased. Especially since I’d prepared last night by sharing two bottles of wine with a friend and staying up until 2:00 so I looked and felt my best. I guess all that bike riding really is good exercise after all. Afterward, we headed back across the street to Dan’s place. I had some chips and salsa before mounting up my bike for the ride home. My legs felt a little tired, but it wasn’t bad at all. So overall, I give this adventure an “A”. 29 miles by bike, 62 stories by stairs. 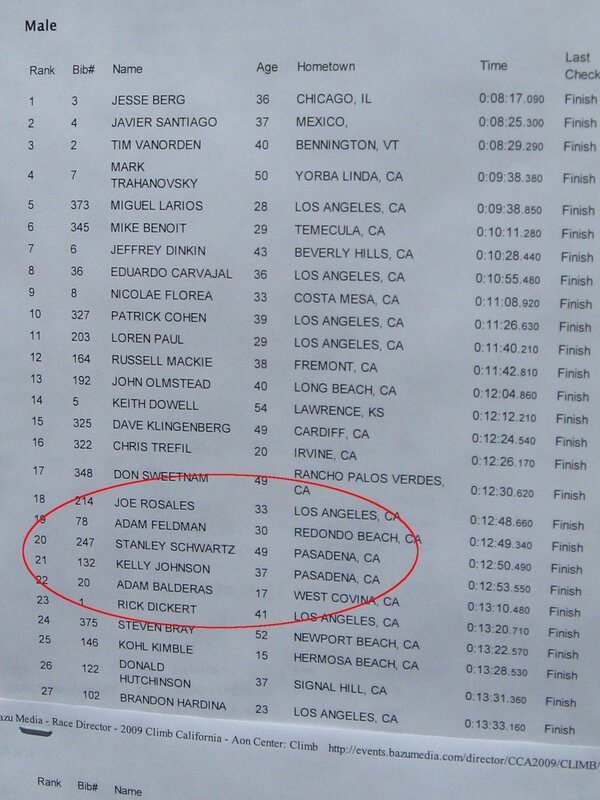 Update 4/20/2009: I found the final results online, and it looks like one later climber beat my time. D’oh! So I was actually 24th overall out of 327 finishers. 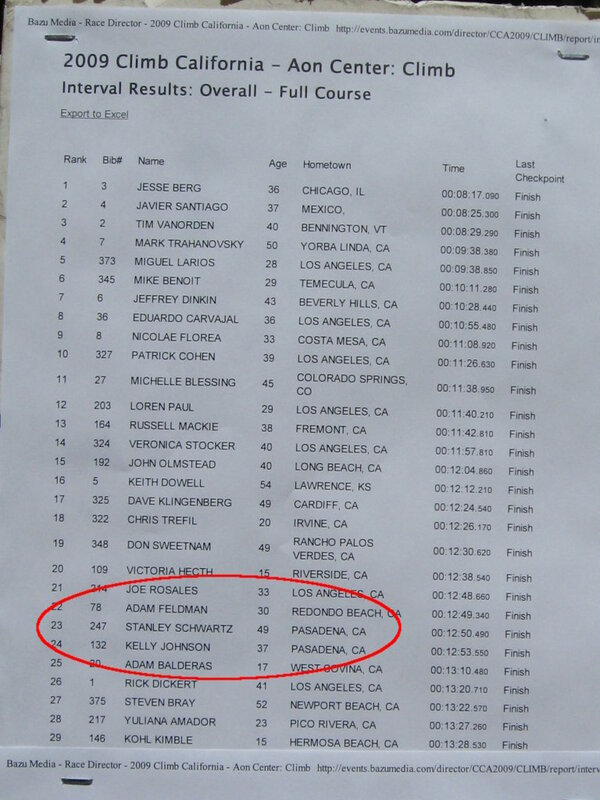 I was 21st among the men, and 7th in the men’s 40-49 group. Still, I don’t think that’s half bad.